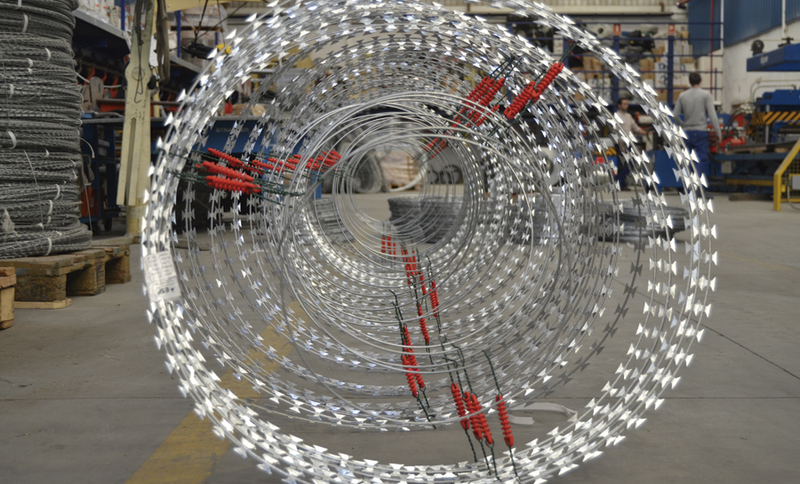 Concertina razor wire electrified is composed concertina normal roll, it contains inside another smooth roll spiral wire adhered with insulators. This type of concertina can be installed in any facility for passive safety, this particular product has had great acceptance in residential and industrial sectors. The deterrent effect of the standard concertina is doubled with this model, since their insulators alert to user of possible danger if you access to realize an intrusion. 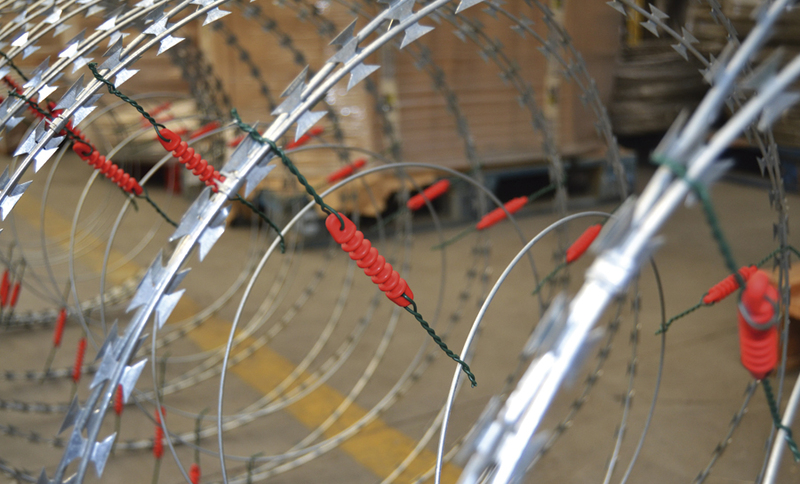 After their installation, for more effectiveness, there are a number of alarms that when connected to the internal roll, can provide an electric shock to the person, at the time to try to violate the security perimeter, established with concertina wire. Diameters: 730mm, 980mm y 1.250mm. 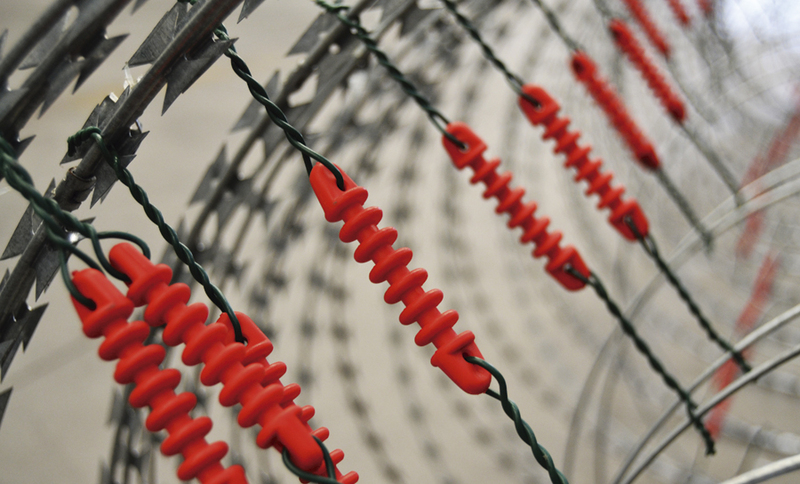 Insulators resistance to 30.000 volts, flame retardants, resistant to extreme environmental conditions. 100% Adaptable energisers simple and short circuit detection. 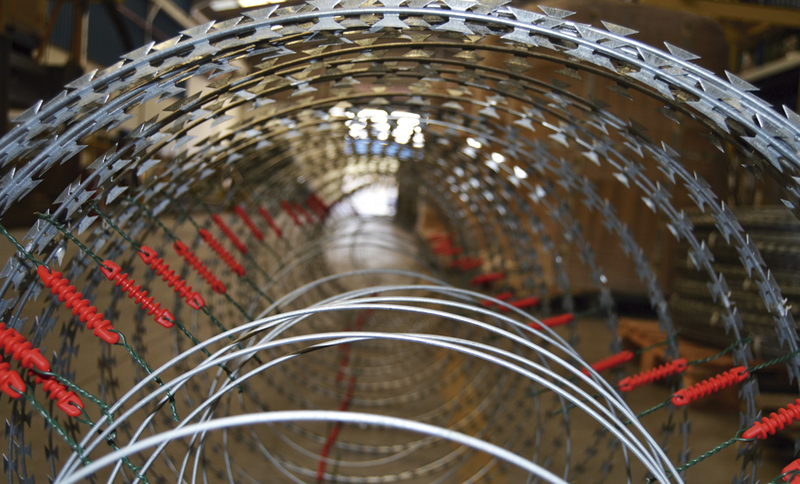 Are you interested in Concertina wire electrified?